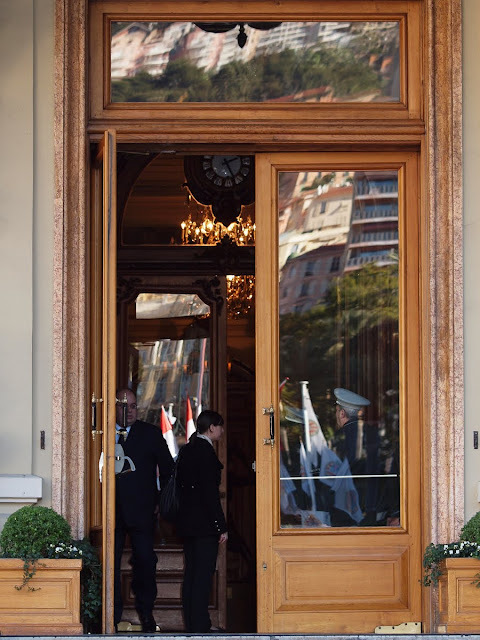 There's always something going on in Casino Square - here you see flags from the recent Monte Carlo Rally reflected in the doors of the Casino. Don't you love that old clock? And it looks a bit like paintings instead of reflections.. I DO love that clock. Now I want to see a closeup! I also love the tiny little peek at the chandelier inside.